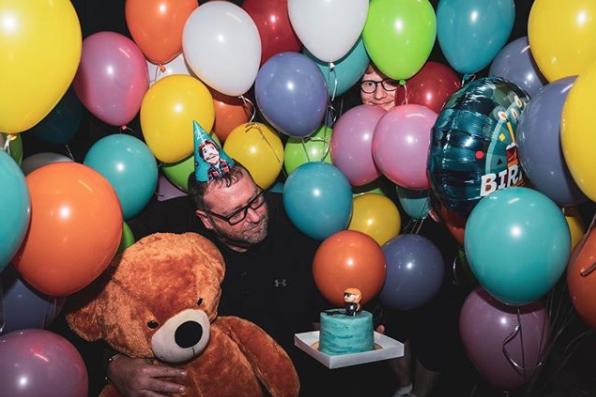 The Castle on the Hill singer Edward Christopher Sheeran celebrated his 28th birthday with a celebration that would remind you of your childhood parties.Really amazing to see fans. 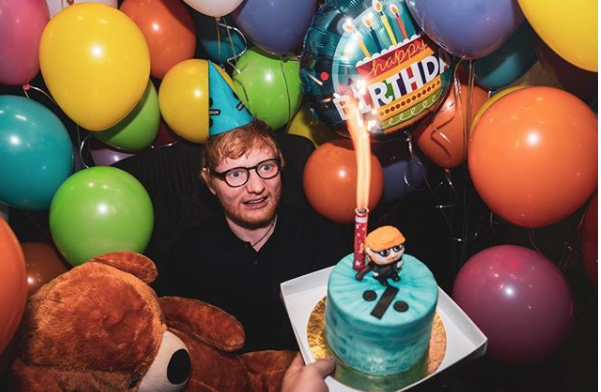 Ed celebrated with his nearest and dearest tour entourage in Brazil with a balloon-filled party, featuring a giant teddy bear, and a Divide themed birthday cake. The party was complete with Ed-themed paper hats! Ed’s security man Kev is never one to miss out on the fun! With a busy schedule like his, there was no time to waste as the singer also played a gig that same night. Ed performed in Porto Alegre in Brazil, and thanked fans for celebrating his big day with him. “Porto Alegre! Thanks for spending my birthday with me,” he said.